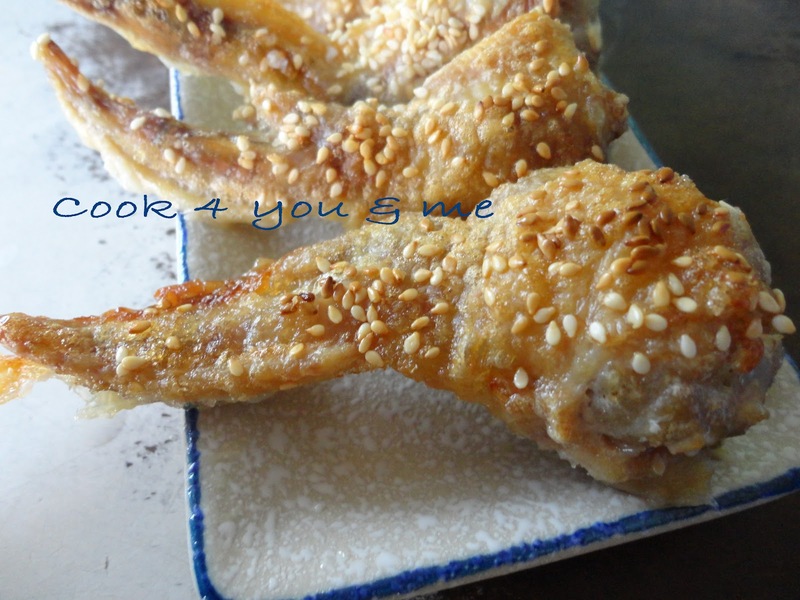 It look like deep-fry,right?No...i grill it.I using up and bottom heat.Actually the recipe is bake in oven. If bake, the skin not so crispy.So i try grill.It came out like deep-fry.The skin so crispy.The sesame so fragrant. 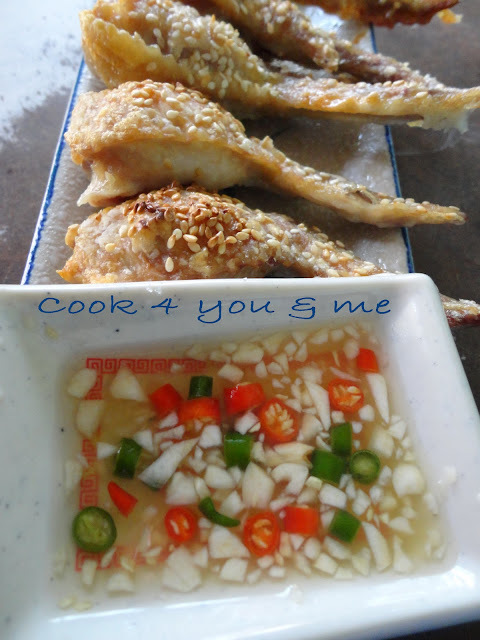 Mix fish paste,minced pork,chilli,water chestnut,fish sauce,corn flour and pepper.Stir well until mixture is firmed. Stuff chicken wings with the above mixture. Coat chicken wings with corn flour,then dip into egg white and coat with sesame seeds. 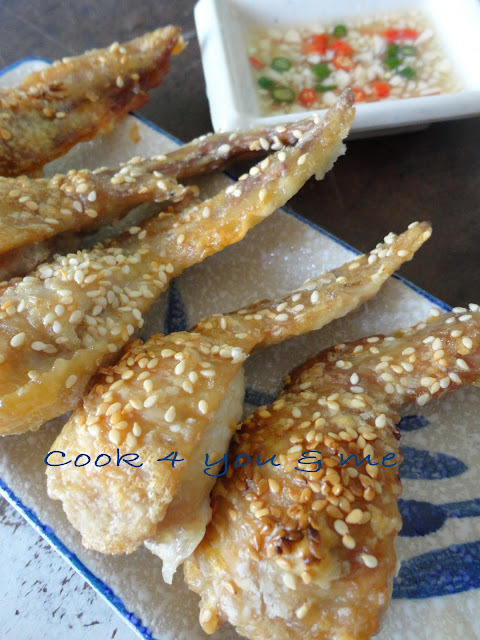 Bake the chicken wings in preheated oven at 220'c for 25 or golden colour.Or grill using up and bottom heat. it looks really nice plus the sause-must be delicious!